Fifty years after high yielding variety seeds came to India, a look at how they got here – and what may have happened if they didn't. For the average person, the names Ehrlich and Borlaug may not mean anything. However, in the late 1960s and early 1970s, the two Americans, in their own way, did something extraordinary. 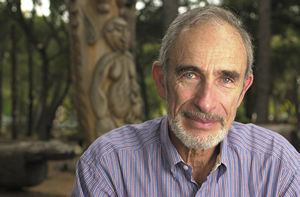 Paul R. Ehrlich, a professor of biology at Stanford University, painted a depressing picture of the state of the world – a picture that had hundreds of millions dying within a decade, and nations such as India and England ceasing to exist. Norman Borlaug, along with his associates, proved Ehrlich wrong. Borlaug helped nations such as Mexico and India double, even triple, their crop yield – an increase that outpaced the population growth rate and ensured that famines would remain only in the history books. In the 1960s, India was going through a difficult time, most notably on the food front. In 1966, it produced about 10.4 million tonnes of wheat, which was woefully inadequate to feed a population of over 500 million. It increased to 11.3 million tonnes in 1967. On January 23, 1966, The Hindu published an alarming article. To quote it: “Thirty million people in India are facing “dire distress” at present in getting food. This estimate has been made by the Union Food Ministry on the basis of information received from different states”. The article went on to add, “A team of U.S. officials is arriving in Delhi on January 23 to assess the extent of “dire distress” for an outright grant of food grains to people in the affected areas”. On January 28, 1966, the Deccan Herald, a paper published out of Bangalore, printed a news item saying that the Mysore government had decided to relax the Monday evening ban on serving food in hotels, which had been implemented following a call by then Prime Minister Lal Bahadur Shastri in November 1965 that people ‘miss a meal’ to conserve food and to help tide over the food crisis. In January 1966, Indira Gandhi became the prime minister after the demise of Shastri. During her visit to the US in March 1966, she asked for food aid. Then US President Lyndon Baines Johnson agreed to send 10 million tonnes of wheat under the PL-480 programme. However, India’s statements condemning the US bombings of North Vietnam infuriated the Americans who decided to go slow on the shipments. In the words of one commentator, India was surviving from “ship to mouth”. India did receive a large amount of food aid under the PL-480 programme, but it was obvious to policymakers that the country could not survive on this alone. To end India’s dependence on the PL-480 programme, then agriculture minister C. Subramaniam adopted a new strategy to boost grain production. Among other things, he brought in a new price support policy for farmers. Having heard about the miracle wrought by Borlaug in Mexico, India decided to import 18,000 tonnes of wheat seeds from Mexico’s International Maize and Wheat Improvement Center, known by the acronym CIMMYT (Centro Internacional de Mejoramiento de Maíz y Trigo) under the High Yielding Varieties Programme. Fifty years later, the success of this programme is evident. Wheat production was 16.5 million tonnes in 1968, an increase of 45% over the previous year. The growth continued over the following decades – 20 million tonnes in 1970 and 32 million tonnes in 1980. In 2016, wheat production grew over 90 million tonnes, making India the second largest producer of wheat in the world. India’s success story must be juxtaposed with the generally negative atmosphere of the 1960s, most notably in two books written in that decade – The Population Bomb by Ehrlich and Famine 1975 by brothers William and Paul Paddock. In the late 1960s, Ehrlich visited India. His experience appears to have cemented his views on the perils of the expanding population. In the first chapter of The Population Bomb, published in 1968, Ehrlich recounted his visit. On reading this paragraph, one could be forgiven for assuming that Ehrlich was empathising with the poor and would propose a solution to the mass starvation he envisioned. He does propose a solution but it is the exact opposite – Ehrlich would have left the poorer nations to fend for themselves. The preface to the book gives a clear indication of his views. When large nations like India were struggling to feed its people in the 1960s, one would find it hard to disagree with Ehrlich’s views on population control. However, some of the methods he recommended were beyond the pale. In his book, Ehrlich agreed with the strategy proposed in the 1967 book Famine 1975!, another doomsday book. In their book, the Paddock brothers divide underdeveloped nations into three categories – those for whom aid would be a waste, a second group that will struggle and stagger forward without US aid and a third group that can be helped. Nations in the first group should be ignored and left to their fate because helping such nations, India and Egypt among them, would be like “throwing sand into the ocean”. Ehrlich brings up the idea of adding “temporary sterilants to the water supply or staple foods” and his support for “government mandated sterilisation of Indian males with three or more children”. Ehrlich did not stop with his dire predictions. Some of them bear repeating just to illustrate how wrong they turned out. 1969: “By 1985 enough millions will have died to reduce the earth’s population to some acceptable level, like 1.5 billion people” and “By 1980 the United States would see life expectancy drop to 42 years because of pesticides, and by 1999 its population would plummet to 22.6 million”. 1970: “In ten years all important animal life in the sea will be extinct. Large areas of coastline will have to be evacuated because of the stench of dead fish” and “Sometime in the next 15 years, the end will come. And by the end I mean an utter breakdown of the capacity of the planet to support humanity”. But not one major prediction made by Ehrlich has come true. The single biggest reason for this is the Green Revolution of the 1960s. The path to the Green Revolution came through Mexico. In the 1930s and 1940s, Mexico was going through an agricultural crisis. It’s farmers were harvesting less than half the crops necessary to sustain the population. The problem was rust, a plant disease caused by parasitic fungi. New wheat varieties created by Mexican scientists were devastated by rust for three years – 1939, 1940 and 1941. When American scientists approached the Mexican farmers with newer varieties of wheat, they were treated with understandable suspicion by Mexican farmers. One of the scientists who solved the problem was Borlaug. Borlaug received his PhD in plant pathology from the University of Minnesota in 1942. After graduating, he worked for the DuPont Corporation, conducting research that would benefit the US armed forces fighting the second world war. Soon after, he was approached to join the Rockefeller Foundation on a project in Mexico focused on soil development, plant pathology, maize and wheat production. He joined the project in 1944. Borlaug’s work was backbreaking. He had to walk through the fields checking wheat stems for rust. Crossing wheat strains to find rust-resistant varieties required removing the male stamen from each bisexual wheat flower. Failure to do so would result in self-pollination. In nine years, Borlaug’s team developed 6,000 individual crossings of wheat. By 1956, Mexico’s wheat production had doubled. However, the success created a new problem. The wheat crop cultivated by Borlaug had tall, thin stalks. Taller stalks can get more sunlight but their thin stalks collapsed under the weight of the grain. The solution would be to breed shorter, stronger stalks that could better support larger seed heads. He crossbred a semi dwarf variety, whose height was half to two-thirds the height of the standard variety with his disease resistant variety. The results were spectacular. In 1963, Mexico’s harvest was six times the harvest in 1943. Mexico had become self-sufficient in wheat and an exporter of wheat. In 1963, Borlaug visited India at the request of the Indian government, a move that had been set in motion by renown geneticist and administrator M.S. Swaminathan. Borlaug brought with him seeds from four of the most promising strains, which were planted in different locations across North India. There are several twists and turns in the tale, including the war between India and Pakistan in 1965. In 1966, India imported 18,000 tonnes of seeds for planting. The impact of the new seeds was apparent. In 1965, India harvested 12 million tonnes of wheat. In 1968, India’s yield had grown so much that schools had to be used as temporary granaries. India’s yield went up to 76 million tonnes in 2000. Long before that, in 1974, India became self-sufficient in cereals. According to the Food and Agricultural Organisation (FAO), between 1961 and 2001, India more than doubled its population, from 452 million to more than one billion. At the same time, it nearly tripled its grain production from 87 million tons to 231 million tons. It accomplished this feat while increasing cultivated grain acreage a mere 8%. A similar effort for rice was initiated at the International Rice Research Institute in Philippines. Yields soared. Borlaug’s methods had its critics. The heavy use of fertilisers was decried. Others worried that small farmers had been displaced by large agricultural corporations. One such critic is Vandana Shiva. In her book The Violence of the Green Revolution: Third World Agriculture, Ecology and Politics, she argued that the Green Revolution had poisoned the soil and water due to the large scale use of chemicals and destroyed crop diversity. While wheat and rice yields had increased, other crops such as oilseeds and maize had actually decreased. At first Borlaug called these comments elitist but in later years he agreed that fertilisers and pesticides had to be used judiciously. 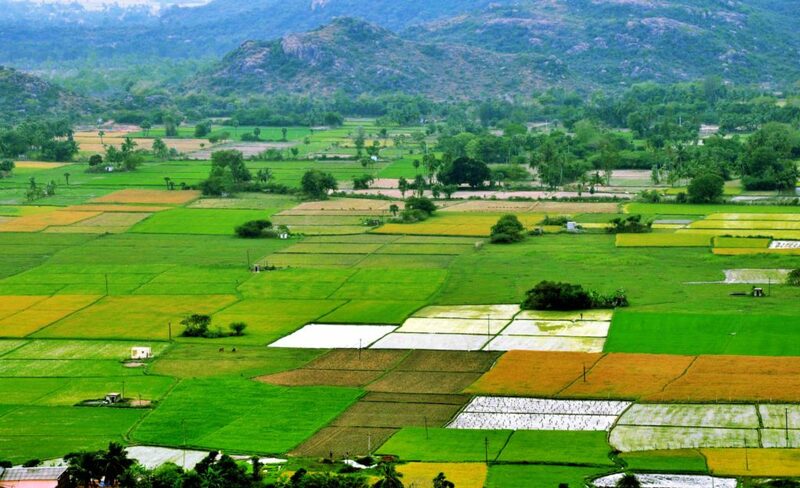 Today there is an effort underway in various parts of the world, albeit small, to develop organic farming. 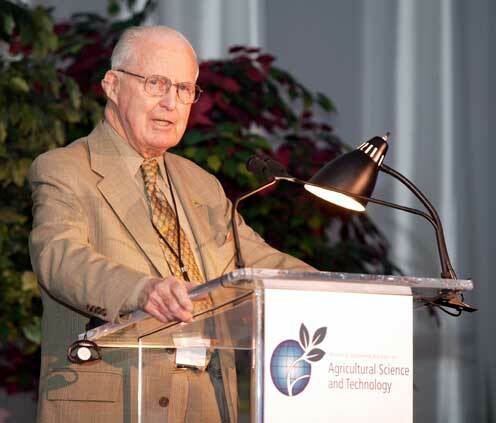 Borlaug believed that organic farming could feed four billion people and would require large areas of virgin land to be converted to farmland due to the lower yield per hectare. The debate continues. However, it is hard to dispute the fact that the Green Revolution made several countries self-sufficient in wheat and rice. Without it, there would have been a severe food shortage in India in the 1960s; some of Ehrlich’s predictions might have come true. While Borlaug couldn’t stand Ehrlich’s name, he did state, most notably in his Nobel acceptance speech, that the world’s population had to be stabilised. Finally, what about the growing population? It is over seven billion now and deaths from malnutrition are as high as two million a year. However, this is not due to food scarcity in the world. It is believed to be due to the lack of a equitable distribution of the available food. The rate at which the population is growing has slowed down and it is expected to reach a peak in the middle of the 21st century and then decline. Global hunger is declining as well. According to an FAO report from 2010, the percentage of undernourished people in the developing world has fallen from about 33% in 1969 to about 15% in 2010, even as the population has more than doubled.